Peel,rinse and slice the the suran(Yam). Marinated in tamarind juice about 5 minutes and keep a side(remove the itchiness). In a bowl add red chilly powder,turmeric,ginger garlic paste,lemon juice,salt and add water mix well. Marinate suran(yam) pieces about 10-20 minutes. Spread the semolina on plate and spread the pieces on it. 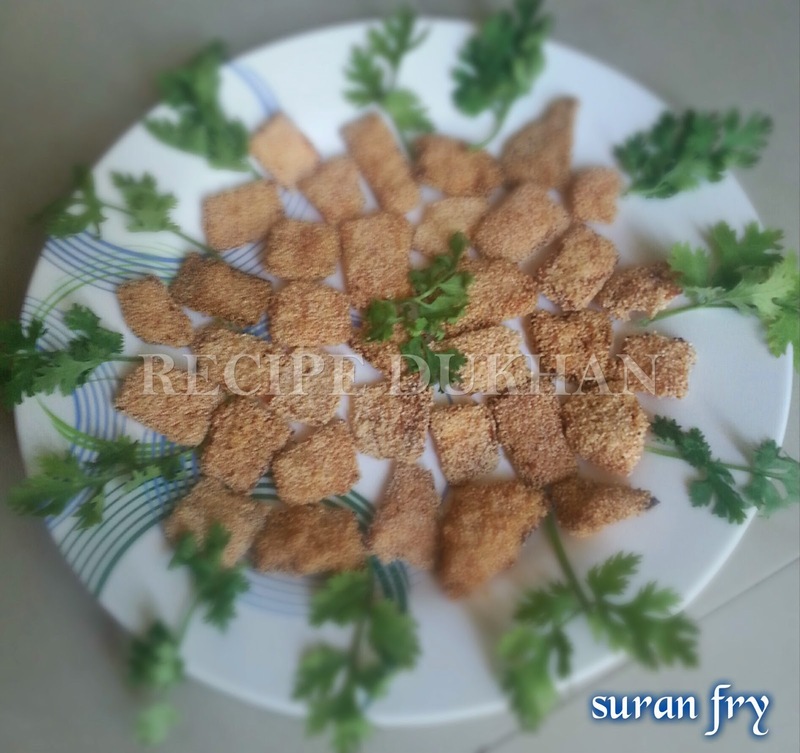 Now crispy yam fry ready for eat.